Social Enterprise Collaboration Tools Bring Social Business to Life! Social networks for business help enterprises effectively collaborate across departments, offices and countries. These tools give employees a sense of online community and help forge connections between different parts of the business and your customers. Some business leaders still have a hard time understanding the benefits of the social business. Organizations that have tried to make their businesses social often find that after embracing the technology initially, employees’ enthusiasm soon dies down and only a handful of workers continue to use the technology. So, how can businesses develop a long-term social business strategy? Brian Solis and Charlene Li do a profound job of describing the success factors of social business strategy. I absolutely agree with Solis that the expectations of your connected customers and employees, and how you improve connections, conversations, and experiences will all be deciding factors of how you grow your business and increase the value of the brand. Social tools have evolved well beyond Facebook and Twitter. We now have an opportunity to use socially-driven collaboration tools in new ways to change the way we work. You need to set your goals based on your company objectives and assign roles. Some great collaboration tools are enterprise social networking, cloud team collaboration, online communities that all enable multiple levels of sharing with external and internal members of the business. Enterprises that don’t embrace these technologies could very well risk becoming irrelevant. Your business model will always be under threat from a smarter, nimbler competitor with a new idea or a better use of technology. If you don’t want to end up like your local taxi firm you need to start collaborating with your partners, staff and customers to create innovative new ideas to stay on top. According to Computerworld’s 2015 Forecast Study, social networking, alongside predictive analytics, will be one of the most disruptive business technologies over the next three to five years. For many organizations, that disruption is already underway. For those businesses that are already have a social enterprise strategy, it’s not simply about providing employees with the means to interact with each other more effectively and many interactions with customers could be improved by the use of social tools. 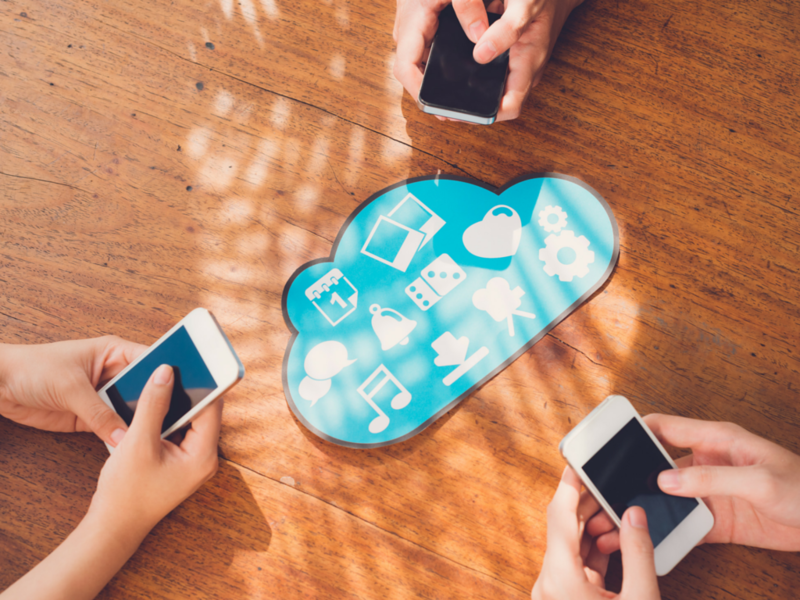 Effectively channeling social collaboration through your socially enabled cloud infrastructure is a great way to engage with and get real time response with both your internal and external customer base. Social media is rapidly becoming the main interaction point for customer service and external communication in the more open industries. Don’t get me wrong, content is still king, social media is just rapidly taking on a new level of interaction. In this more interactive and collaborative social world, customers now deserve more dynamic and engaging interaction. Mandating that employees use social tools is one way to ensure new technologies are utilized, but as Solis alludes to above people will often get side-tracked unless the social aspect of business is firmly engrained in it’s culture. The best way to bring culture of sharing is by collaborating across the organization. This is all made much easier by the accessibility and connectivity of a cloud infrastructure combined with open communication that good social tools or the right enterprise social network can bring. Your business needs to open culture and leadership in order to holistically make the cloud, social and mobile technology work effectively. Business must understand what they’re trying to achieve before they set off on the journey, and be committed to making cultural changes to the way they work. If you are not a business that offers social collaboration, your customers may force your hand and insist you rapidly change your approach. New modern devices are getting more advanced every day, always-on mobility and the way your data is consumed proves social collaboration isn’t the ideal, it’s the new norm and if you do not jump on board you will get left behind.